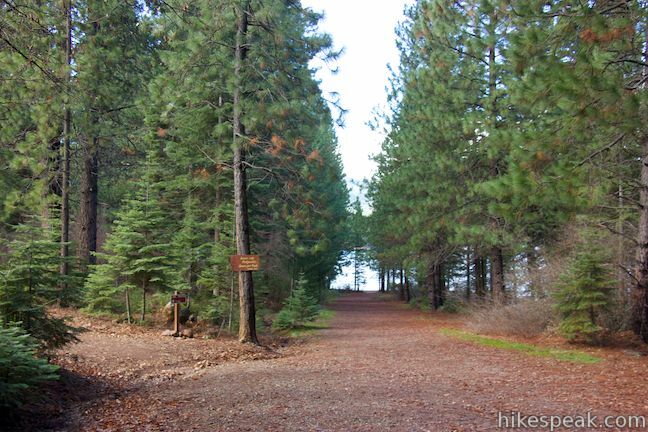 For a short, pleasant stroll, what could be better than a level, lakefront loop through evergreens? 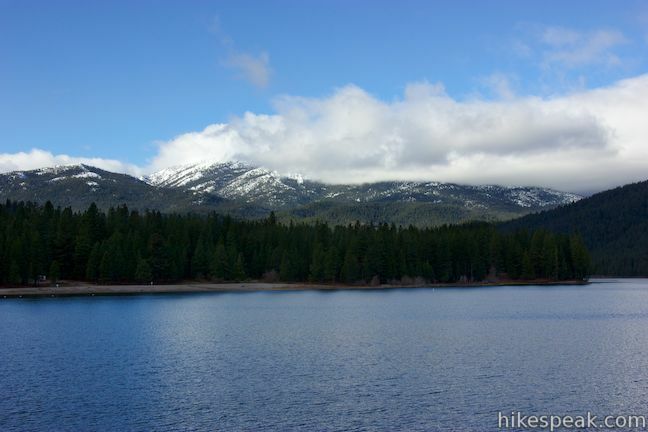 Set out for Lake Siskiyou, a reservoir southeast of Mount Shasta. 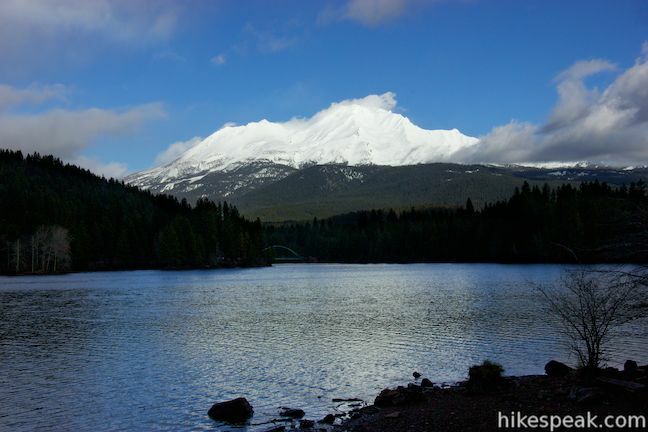 From the edge of the lake’s calm blue waters are clear views of massive Mount Shasta and the surrounding mountains. 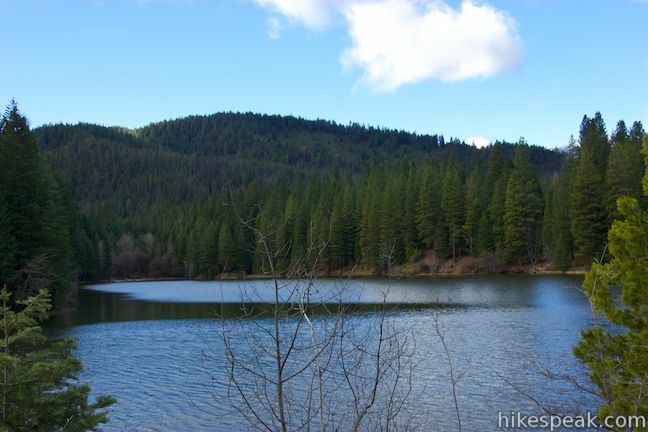 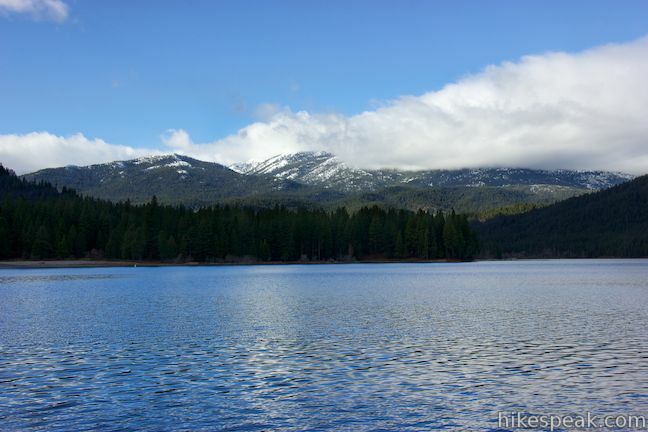 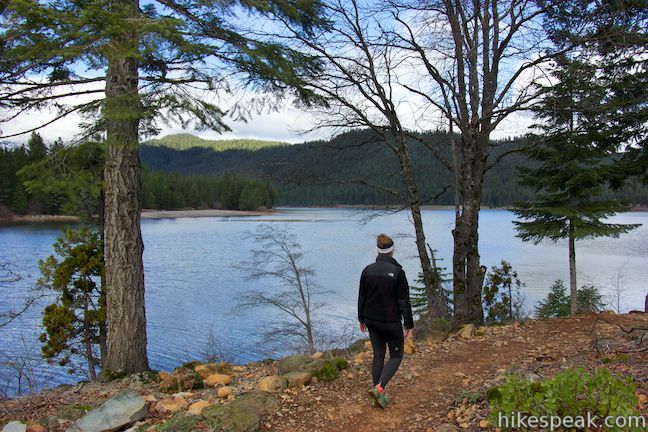 If you’re feeling ambitious, you can hike all of Lake Siskiyou Trail on an over 7-mile loop around the lake. 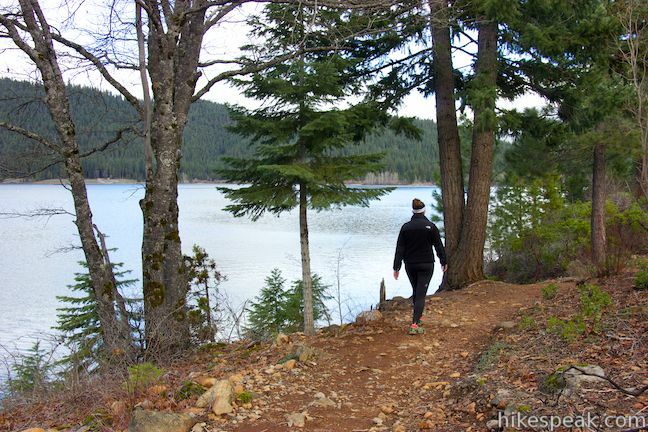 For something shorter, combine one section of the trail along the south shore with Alternate South Shore Trail, which actually goes closer to the water’s edge, for a quick and scenic 1.1-mile loop with 50 feet of elevation change. 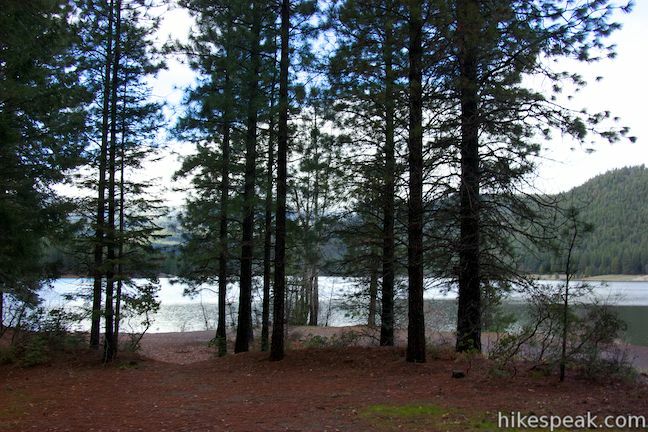 From a convenient parking area along the south shore of Lake Siskiyou, take the paved path down toward the lake, which will be visible through the trees. 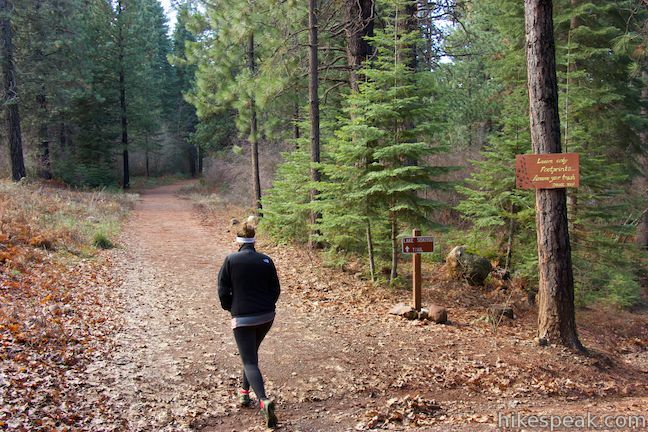 In 250 feet, come to a junction with Lake Siskiyou Trail. 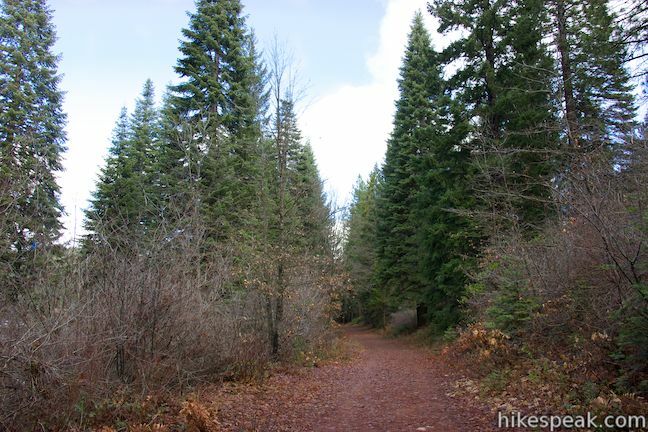 Straight ahead, the alternate trail drops a tenth of a mile to the lakefront. 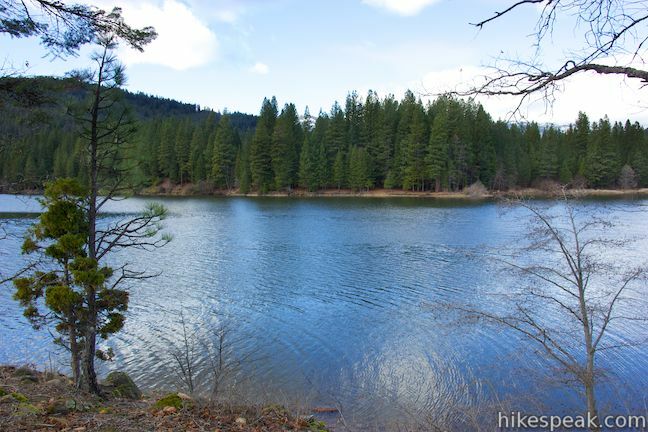 Unless you’re feeling impatient and want your lake views a.s.a.p., turn left on Lake Siskiyou Trail and start the loop on the trail that’s set a bit back from the lake. 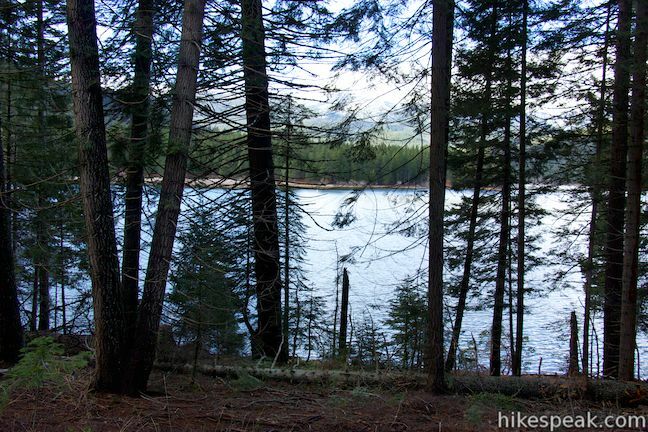 This wide trail passes through a forest of tall pines with glimpses of the lake to your right. 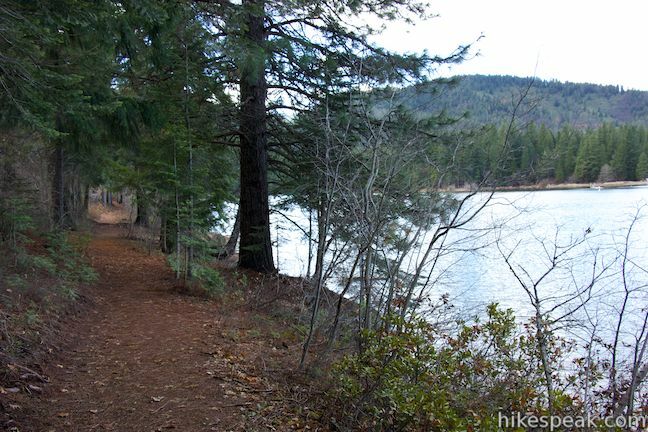 After 0.4 miles, you will reach a marked junction with the other end of Alternate South Shore Trail, labeled Lake Siskiyou Trail Alternate Route. 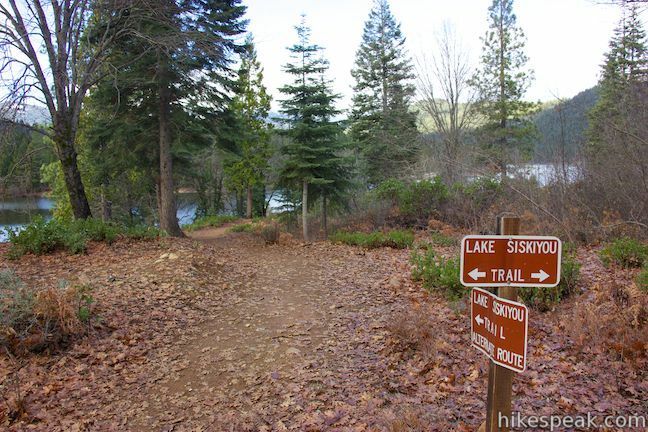 Turn right and head toward the lake. 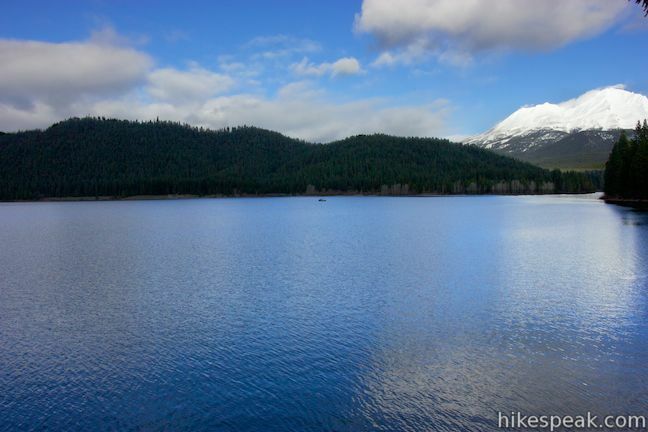 On your left are views over a pair of whale tail-shaped inlets on the lake. 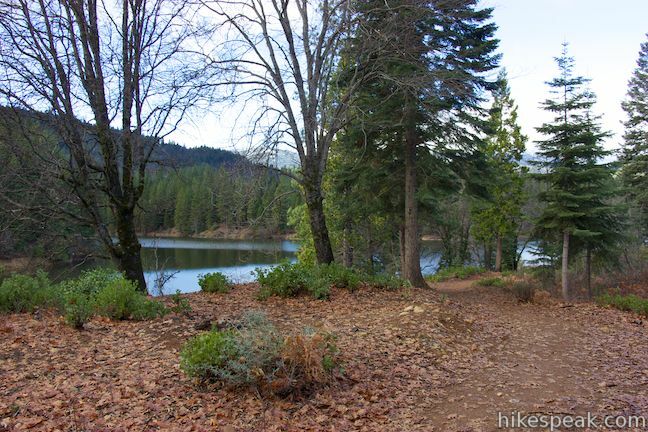 As the trail curves to the right, you will have even bigger views across the main body of Lake Siskiyou. 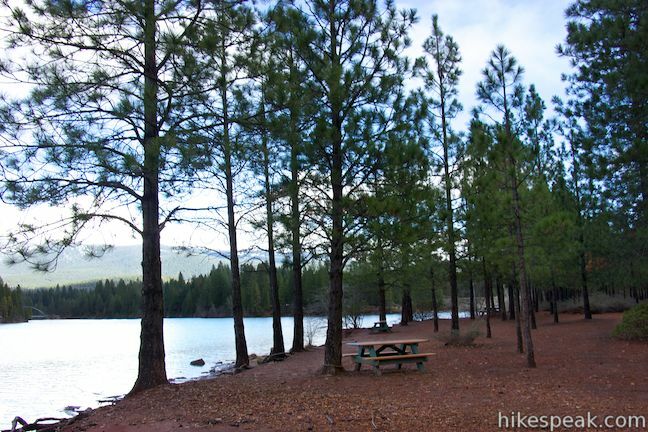 The beach at Lake Siskiyou Resort and Campground lies across the lake. 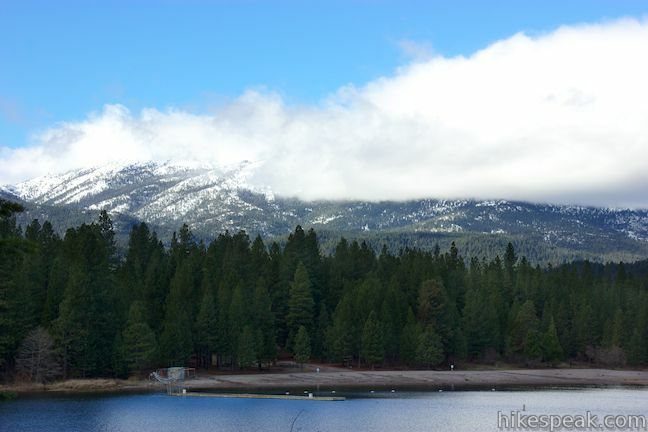 Beyond that rises an evergreen wilderness, topped by the Trinity Mountains to the west. 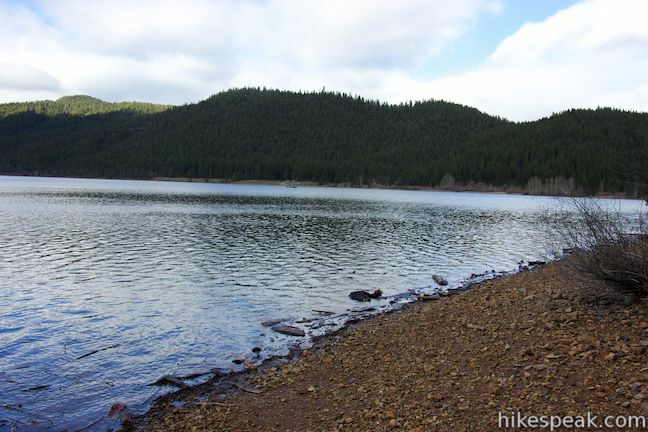 The trail stays just above the lake, passing several places to cut down to the rocky shore if you want to really get on the water’s edge. 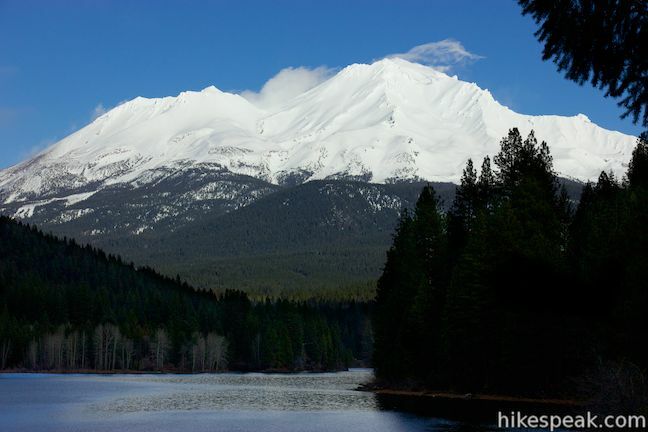 As you make your way down the pine-lined trail, you’ll be hiking straight toward Mount Shasta, which gets fully revealed to you as the trail curves to the right and provides a head-on view of that imposing snowy volcano. 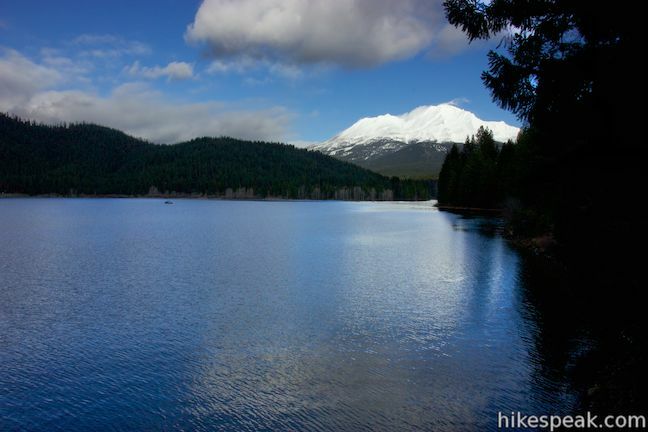 After half a mile on the Alternate South Shore Trail, you will come to a picnic area that boasts the best views of Mount Shasta, which rising up beyond the northeast end of the lake. 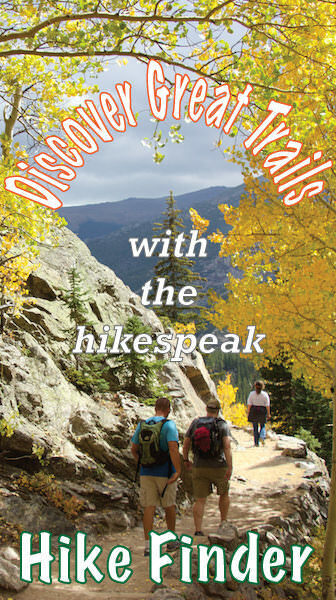 When you’ve gathered all the views, take the trail heading uphill from the picnic area. 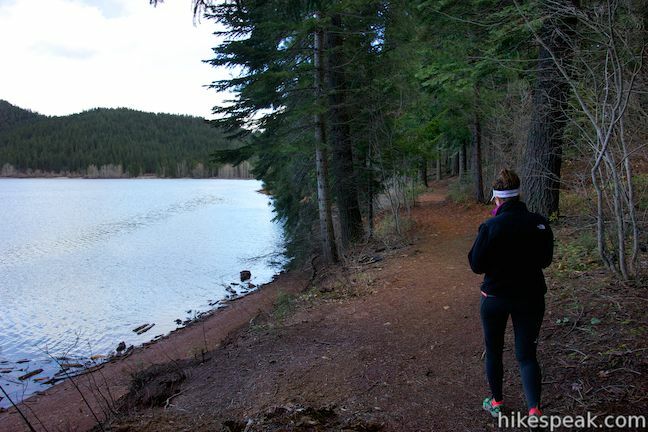 It quickly brings you up to the junction at the start of the loop. 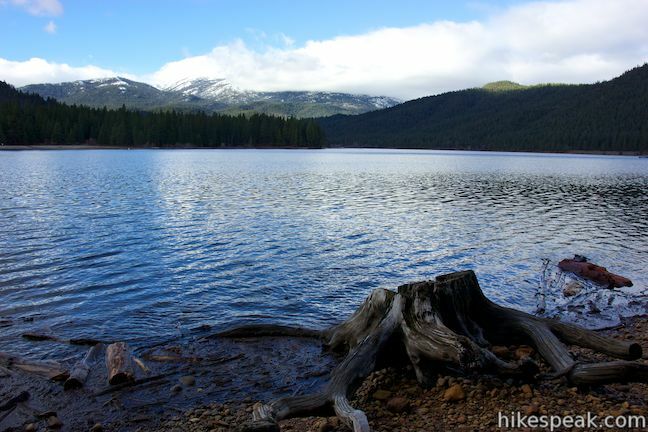 Cross Lake Siskiyou Trail and walk back up to the parking area to complete this 1.1-mile hike. 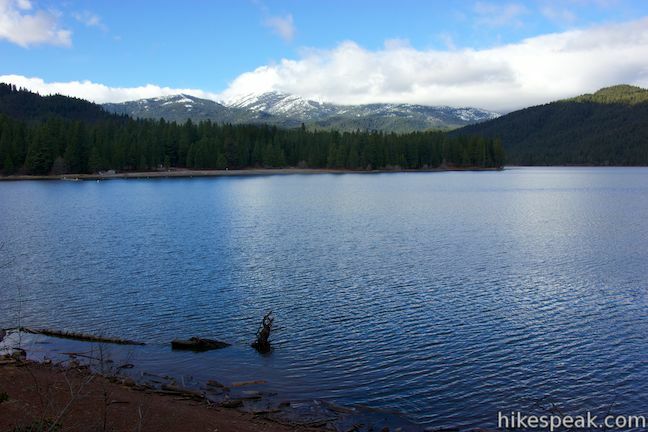 No permit is required to hike Lake Siskiyou Trail and access is free. 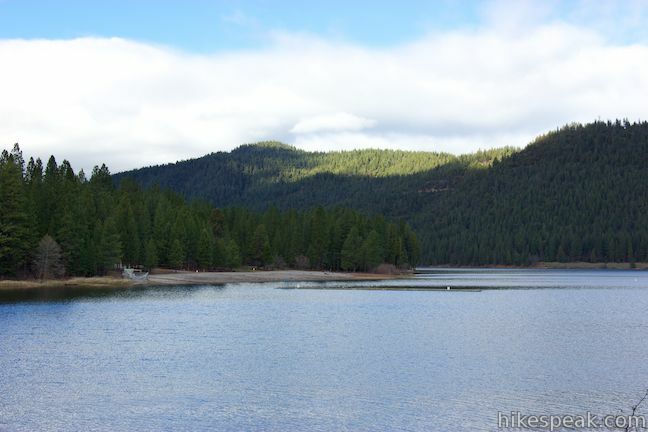 Dogs and bikes are allowed. 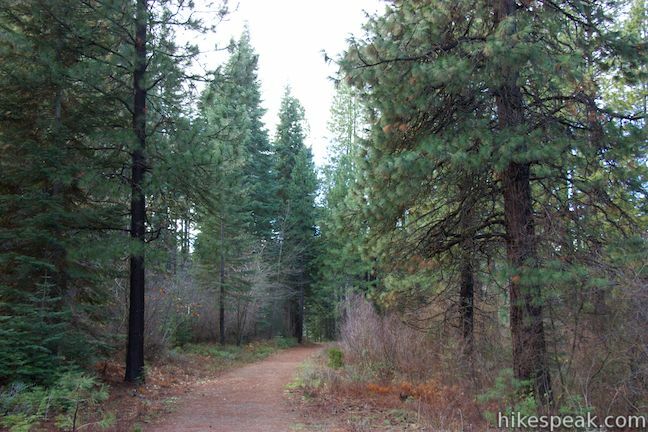 There is a bathroom at the trailhead. 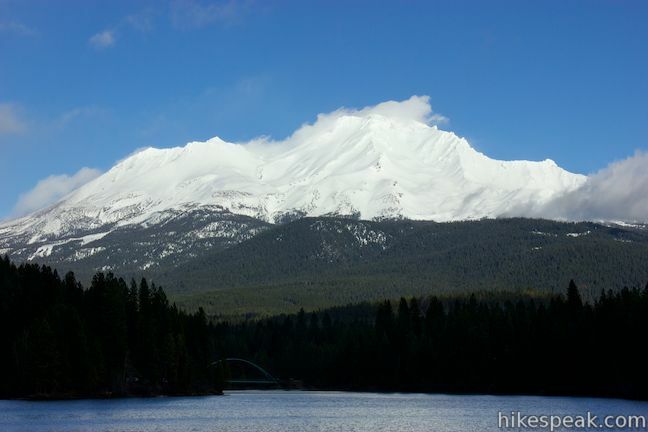 To get to the trailhead: Take Interstate 5 to the Central Mount Shasta Exit (738). 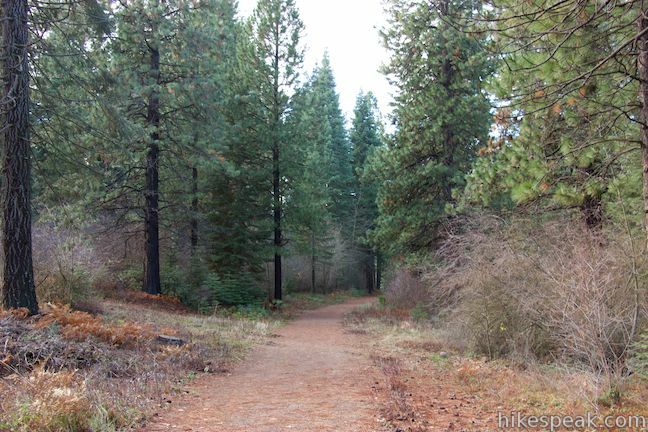 At the end of the offramp turn west, away from the city, on Lake Street, which becomes Hatchery Lane. 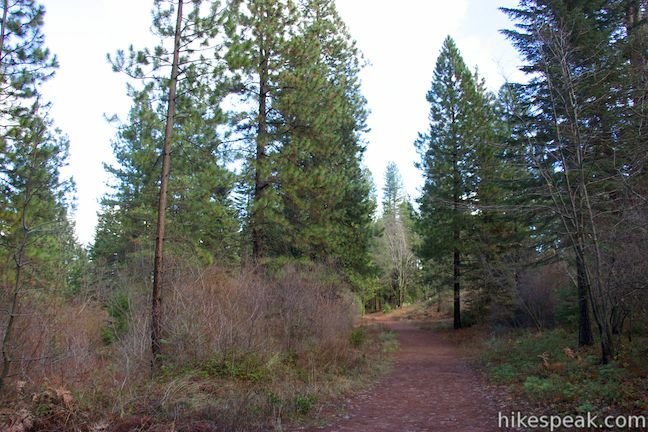 Turn left at an intersection with Old Stage Road. 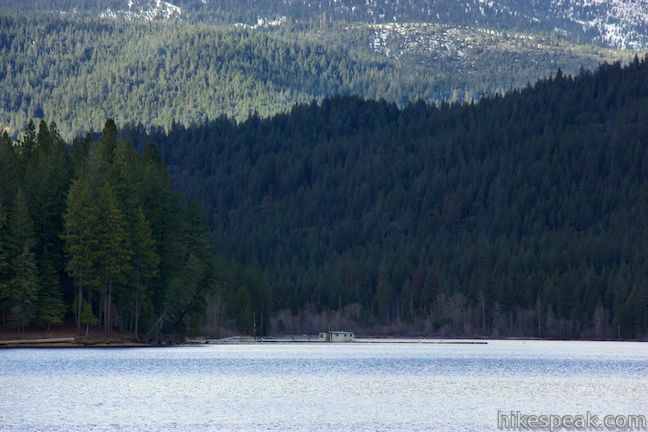 Drive a quarter mile south and turn right at the split onto Barr Road. 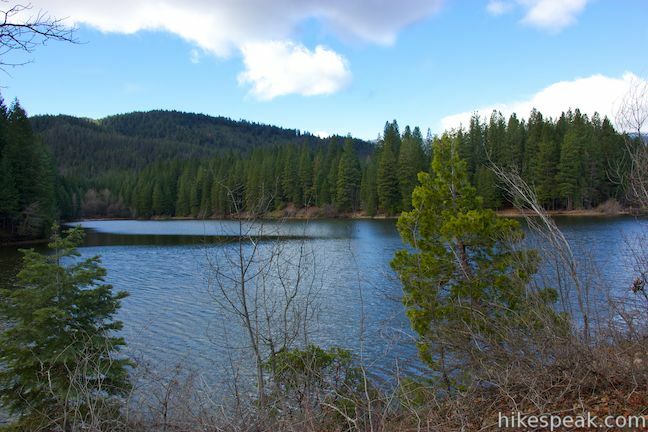 Drive 2.3 miles and, after crossing the Box Canyon Dam and just past an intersection with Castle Lake Road, turn right into a parking area for Lake Siskiyou Trail. 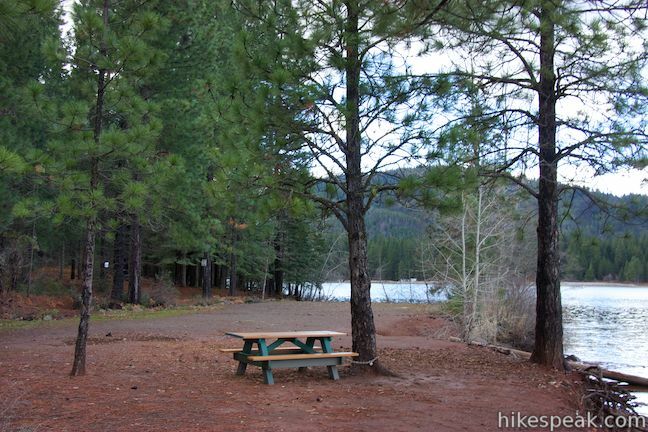 Nestled within a pine forest are 76 developed campsites within this state park that have access to nearby trails. 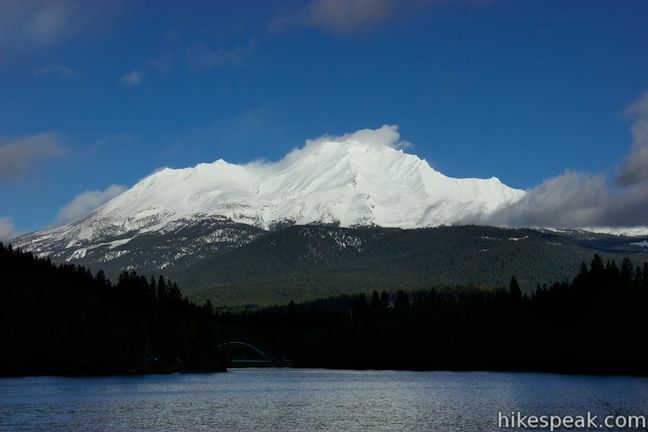 Loving these Shasta posts, keep them up!